Want to become a Yoga teacher? Deepen your practice or start a new career that you will truly love and become passionate about! Join this 200-hour Yoga Teacher Training Course (RYS Yoga Alliance Certified) to improve practice immensely and enhance your teaching skills. This class applies the authentic methodology and teaching that touches on the physical, mental, emotional, psychological and spiritual aspects. Sessions can be taken by beginners and experienced yogis alike under the instruction of different leading gurus and qualified Yoga teachers. Yoga Darshan – Philosophy, Tradition and Evolution Vedas, Yoga tradition and Evolution, Hatha Yoga Pradipika, Bhagavad Gita, Yoga Vedanta and the Upanishads. Yogi Science, Prana, and Kriyas - Essential anatomy and physiology of the human body, Panchprana, yogi vygian (science) and its connection to yoga practice meditation, pranayama, and Kryas. Science of Breathing: Pranayama - Pranayama essentials as applied to Asano classes; anatomy and physiology of breathing; essential pranayama techniques; on enriching module on Prana, brain waves and body and mind energy system. Interpersonal and Communication Skills for Yoga Teachers – This is a module entirely dedicated to learn to teach yoga effectively. Inter­ personal and communication skills for yoga teachers to learn to teach effectively, with impact, and based on others learning styles to maximize learning and stimulate self-observation of yoga practice. Is a certified meditation facilitator from OIMR based in Pune. He is a sound healer, Hypnotherapist and also conducts Laughter Yoga Sessions. He has been conducting the Soulful Sufi Meditation thereby pursuing his search on the divine path. His practices and events include a range of Osho Meditation, Tantra, Zen, and Sufi Meditation. Prem Amit has also been part of the UAE Meditates which has been creating awareness for meditation and mindfulness in Dubai for 4 years. He is conducting Meditations in Trident Wellness Centre in a couple of years and doing healing workshops. Jyoti Gupta born in Delhi eaches since 2012 and has an advanced training also in Yoga Therapeutic Massage. Classical Hatha Yoga, Pranayam, Hatha Alignment and doing Abhyanga Ayurvedic Therapy. After her first Yoga Experience in Spain, she moved to Paris where she continues her studies and from where she had the opportunity to unite the Yoga basis into her daily routine. Studied Yoga in Chennai India, Krishnamacharya Yoga Mandiram Institute. She was fascinated with the Ashtanga Yoga method. So she began her study of Ashtanga in Ashtanga Institute in Chennai. Then she traveled to Bihar School of Yoga in where she was introduced to the Yoga Philosophy. She went to Kerala to finish her Teacher Training Course in Sivananda Dhanwantari Ashram. Did her first intense Pranayama Course in the Himalayas. 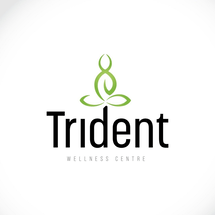 Then became a teacher in Trident Wellness Centre for 3years for Vinyasa, Ashtanga, and Gong Meditation. And now authorized as Level 2 Kpjayi. One of her most beautiful experience is to have the opportunity to study Mysore Ashtanga with Shri K. Pattabhi Jois Ashtanga Yoga Institute. Studied also in Goa with a professional instructor for 3 years at the same time she was leading courses of the basic alignments in the Ashtanga Method.